When small boats mingle with larger and more powerful boats, the former have to contend with the wakes of the latter. The trick is to take the shaking without getting rattled. 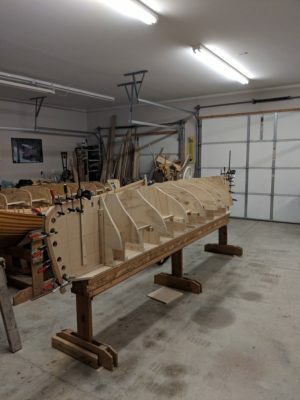 Jeff Spira’s Albion is a 19’ outboard skiff designed along the lines of the surf-launched fishing dories of the Pacific Northwest. While capable of taking on rough water, the Albion is a comfortably stable and roomy platform for more relaxing outings. Most stand-up paddleboards (SUPs) look a lot like outsized surfboards, but most of the people paddling them are not surfing. Michael Storer designed the Taal SUP with a hull more like a boat, making it better suited for paddling pursuits. 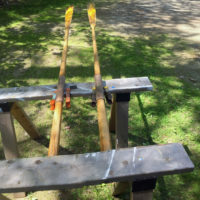 We take a look at a handful of useful tips: detailing clay for imperfect paint and varnish jobs, cinch straps made of rope, saw horses for varnishing oars, farrier’s rasps for woodworking, and a slotted deck for raising a mast. 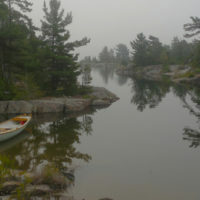 Tom Pamperin takes us back to his Georgian Bay cruising grounds, this time to be trapped by fog among the complex archipelago of the Bustard Islands. The more the visibility diminished, the more he saw. Tom Hepp had had boats growing up, served in the Navy, and chose a career as a merchant mariner, so it’s not surprising that he wanted to take a boat with him when he drove across the country on his vacations. 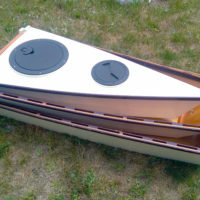 He didn’t want to haul a boat on a trailer or a roof rack, so he decided to make a sectional boat he could pack inside his van. Filling a small outboard motor’s internal fuel tank can be a messy task. The No-Spill Gas Can helps eliminate spills and overfilling with its push-button valve and automatic flow stop. 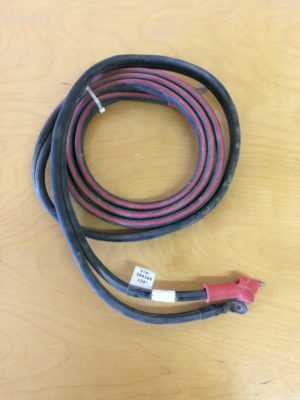 The standard tape measure may be to blame for the adage “measure twice, cut once.” A digital tape measure can read the hashmarks correctly and remember the measurement so you can get it right the first time.